Want some great holiday reading to get your finances sorted and make a start towards a brighter financial future? 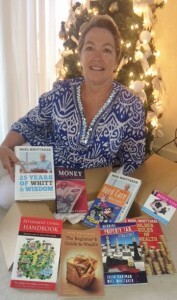 Or are looking for a great gift for a friend or family member to help them with their finances? Noel Whittaker has written over 20 finance and investing books and helped thousands of Australians manage their investments and personal finances. We’ll be giving away these *books in 2016, along with other resources we’re able to source from other finance and investment experts, as we launch our exciting new look site. Our 2 lucky winners will be announced on Thursday 24 December and the books collected/delivery arranged from that day. Wishing you a wonderful Christmas and happy and successful 2016.